Industrial design students and their benches for Troxel Hall, from left, Ryan Bush, Mitch Hinrichsen, Lindsey Croghan and Carlos Ramirez. Downloadable photo by Bob Elbert. AMES, Iowa -- It's hard to imagine college students working on a project for weeks after their class has ended. But the students in Will Prindle's summer industrial design studio wouldn't have it any other way. The seven industrial design students not only designed the outdoor benches for Iowa State University's new Troxel Hall, which opens Aug. 26, they managed the entire production process from idea to product. Or, as Rhonda Martin, campus landscape architect from ISU's Facilities Planning and Management, summed it up: "The students were faced with a challenging construction schedule and still managed to pull off some very well-designed benches that we are proud to have placed on campus." Final touches. Photo by Bob Elbert. 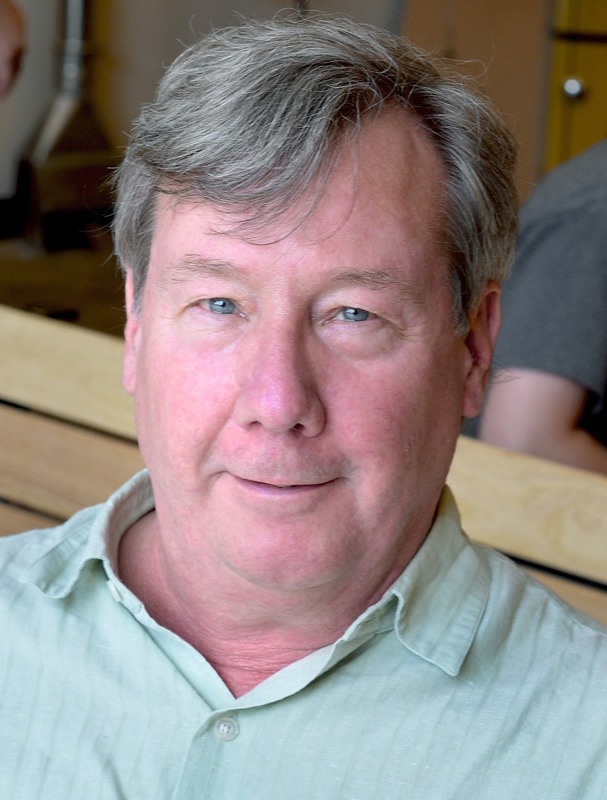 "They like this class because it's a real project with real problems so they're learning a lot about how to be flexible," said Prindle, an ISU lecturer with more than 30 years experience as an industrial designer. "They're learning how to deal with things on the fly, how to make decisions." The benches in place at Troxel Hall. Photo by David Ringholz. 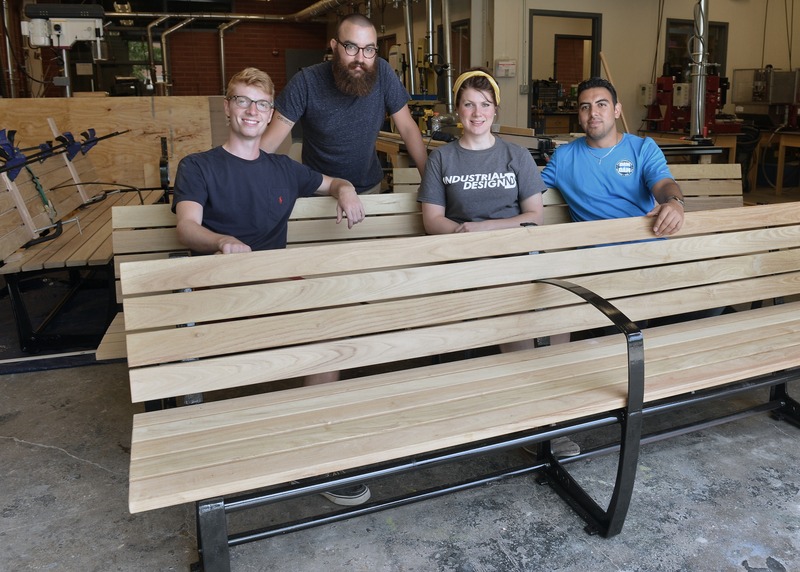 This summer, seven industrial design students not only designed the outdoor benches for Iowa State University's new Troxel Hall, which opens Aug. 26, they managed the entire production process from idea to product. They said Lecturer Will Prindle's class was "an eye-opening experience" and "a big reality check the whole way." In fact, the students worked on the benches for weeks past the end of the class, and long after their grades were posted. Ryan Bush, junior, Rock Island, Ill.
Eileen Lloyd, senior, Tumwater, Wash.
Jonathan Manoles, senior, Chanhassen, Minn.
Will Prindle. Downloadable photo by Bob Elbert. "They're learning how to deal with things on the fly, how to make decisions." Will Prindle, industrial design lecturer"